How to Set and Align Team Goals? Use Hierarchical OKRs. At Weekdone we often get asked: "How to set goals and objectives on different company levels, so that they align well? Should the OKRs of company, teams and persons be linked and related at all?" 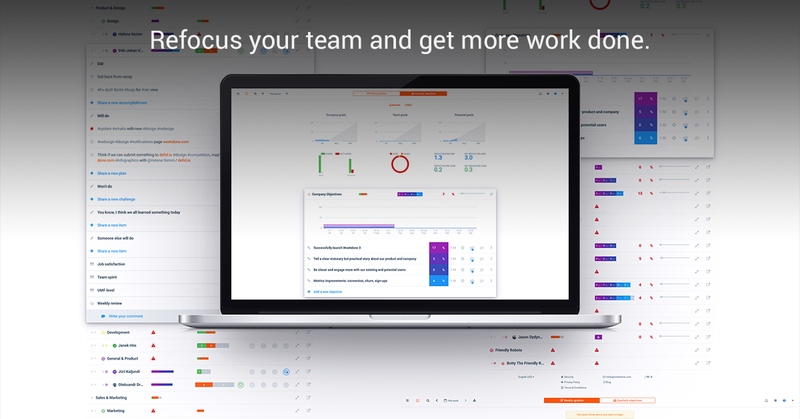 This week we launched a bunch of updates in Weekdone OKR tool related to that. 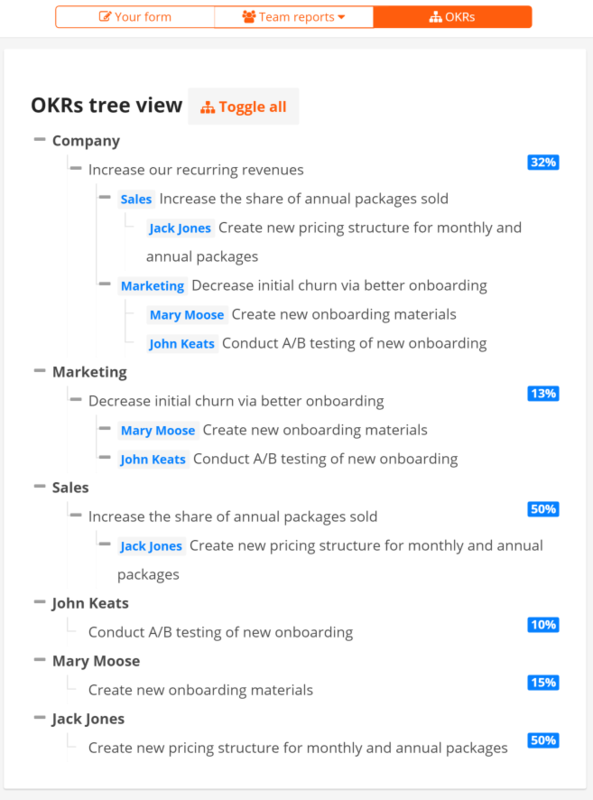 There is now a nice visual OKR hierarchy tree. You can now also link parent and child objectives and move up and down the tree. Child objectives are now also calculated as key result of parent progress. You can see how Google and others use OKRs here. Our belief is that to get all the employees in your company working as one, they all should share an aligned hierarchical tree of objectives and key results. The more visible, transparent and up to date on everyday progress it is, the better it works. Only if teams do what's best for the whole company, and employees do what's best for the team based on that, true success arises. The first question that comes up is: should defining the OKRs happen bottom-up or top-down? You can do both – and many do. There is no wrong or right. In some cases top management or CEO outlines the company OKRs first and adds them to Weekdone, asking then team managers to set their team goals based on that, followed by personal employee goals based on team ones. In other cases all employees are asked to come up with suggestions for their next quarter's activities. In both cases you come together on team level to iterate on them, add, delete or modify some of them. That is the process of setting and aligning goals. As you will see, each parent objective will now have it's child objectives listed as key results under it. That's right: higher-level objectives can now have their progress automatically compiled from lower-level objective fulfillment. Nifty, isn't it? In each case, the owner's team or personal name is listed in front of the key result. 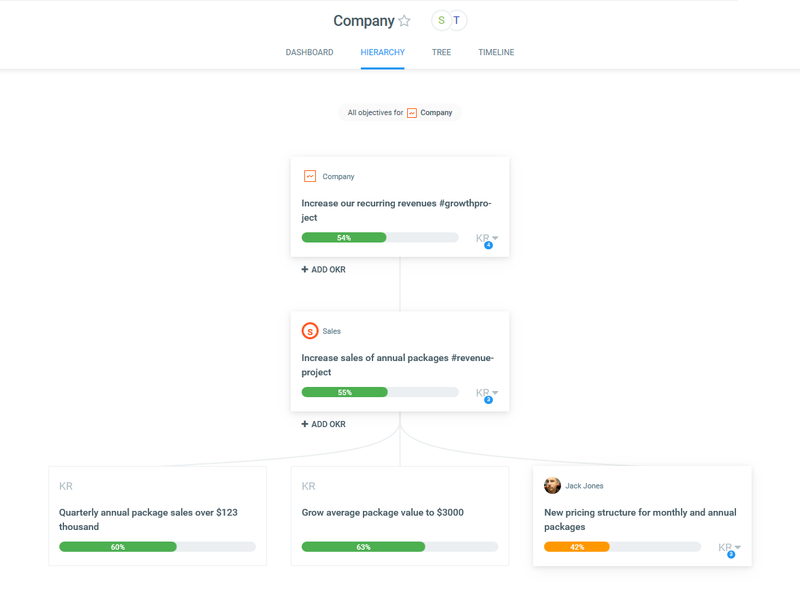 You can see that all 3 people have started moving along their goals, with sales a bit ahead of marketing, and based on that the company sample OKR progress has grown as well. While the example above is somewhat artificial and has limited data (usually each objective should have at least 2-3 measurable key results), it shows how well it all ties together. 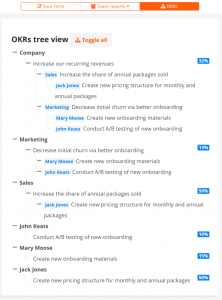 The best way to try building out an aligned OKR tree for your team and company is to try it out in Weekdone. If you haven't signed up yet, please do – it's free for small teams. You can get started at Weekdone.com.